Cruising up Lake Shore Drive in an eye-catching luxury vehicle has never been easier than with a new Alfa Romeo lease from Zeigler Alfa Romeo of Schaumburg. Though a new car lease may not be right for everyone, an auto lease comes with a bevy of benefits for Chicago, IL drivers. An Alfa Romeo lease may be right for city residents who drive fewer-than-average miles, prefer lower monthly payments, or intend to drive the latest model year after year. At Zeigler Alfa Romeo of Schaumburg, we make it easy to lease your next Alfa Romeo vehicle with mileage and financial terms that work for your unique lifestyle. 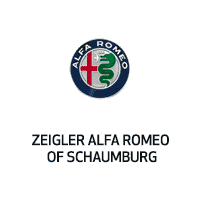 Luxury car leases with Zeigler Alfa Romeo of Schaumburg offer the excitement of the entire Alfa Romeo lineup. Choose an Alfa Romeo 4C Coupe, Alfa Romeo 4C Spider, or the new Alfa Romeo Giulia Quadrigolio sedan for your next automotive lease in the Chicago, IL area. Every vehicle in the luxurious Alfa Romeo lineup features a customized Alfa D.N.A. system that responds perfectly to weather conditions and driver preference. To experience any of the Alfa Romeo models available for lease at our Chicago, IL area Alfa Romeo dealership, visit Zeigler Alfa Romeo of Schaumburg for a test drive! There are a variety of Alfa Romeo financing options available at our Chicago, IL area luxury car dealership. Contact the professionals of our automotive financing center today to see if an automotive lease or car loan on your next Alfa Romeo vehicle is right for you!